After traveling to several planets and meeting a series of grown-ups that baffled the him, The little prince has finally arrived on Earth. He’s met a tiny snake that claims to be more powerful than a king, a flower that seems terribly unaware, an echo that confuses the prince, and a whole garden full of roses that make the prince feel ordinary and unworthy of being a prince. 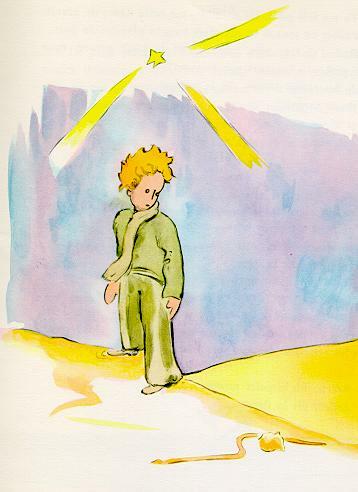 In his short time on Earth, the little prince has already begun to seem like a different person. He is no longer as optimistic, as happy, or as curious. Tell me how has Earth, and these creatures he’s met there, changed the little prince? Is this a good thing or a bad thing? Why? Be sure to type out your answers in complete sentences. Be sure to back up your ideas with some examples, evidence, or proof. Be sure to check back and see what other people say too. Be sure to comment on what they say. The Little Prince has traveled around to a bunch of small planets. On each of them he met one strange person, and almost all of those people made him think that grown-ups are pretty strange. As we talked about in class, the characters in the book may be symbols that represent real people or groups of people in the real world. The author may be using this story to tell us something about those real people by showing you these ridiculous characters in the book. 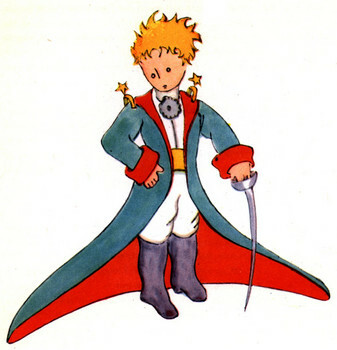 In the comments section below, share with the class what you think Antoine de Saint Exupery might be trying to say. Who do the king, the vain man, the drunkard, the business man, the lamplighter, and the geographer really represent.